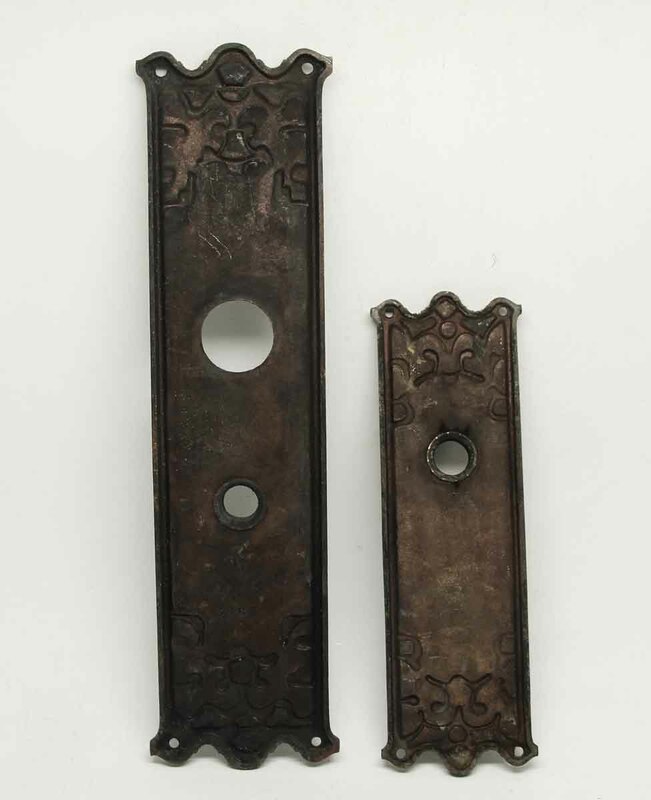 This set features its original patina and is similar to the Art Nouveau style. 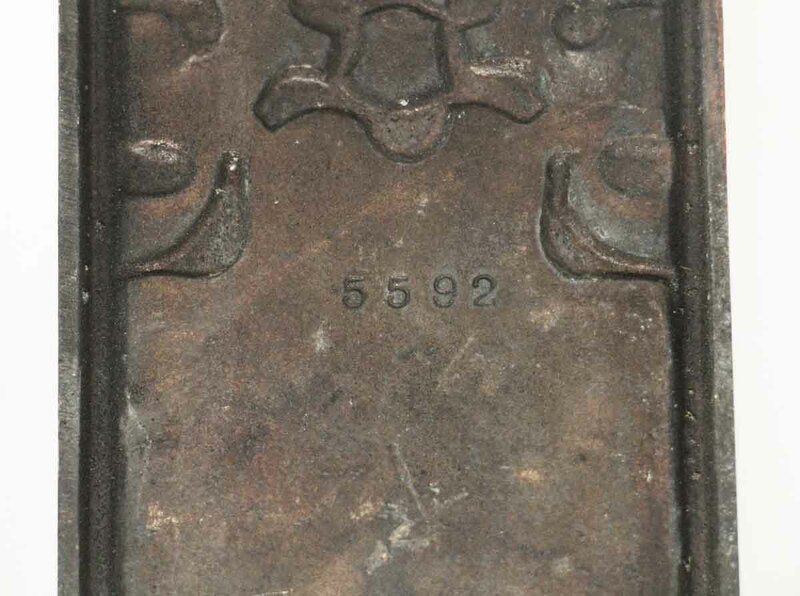 Plate is inscribed 5592. 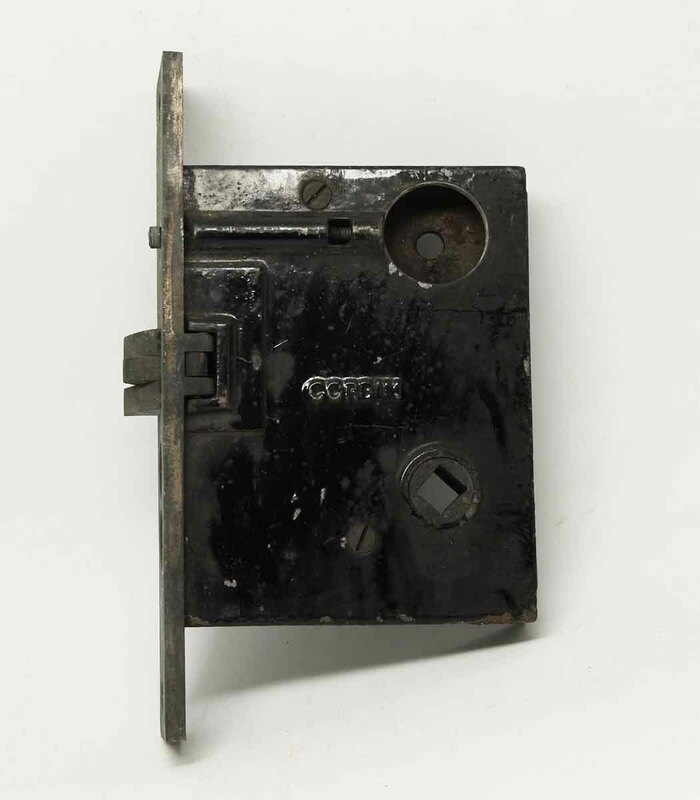 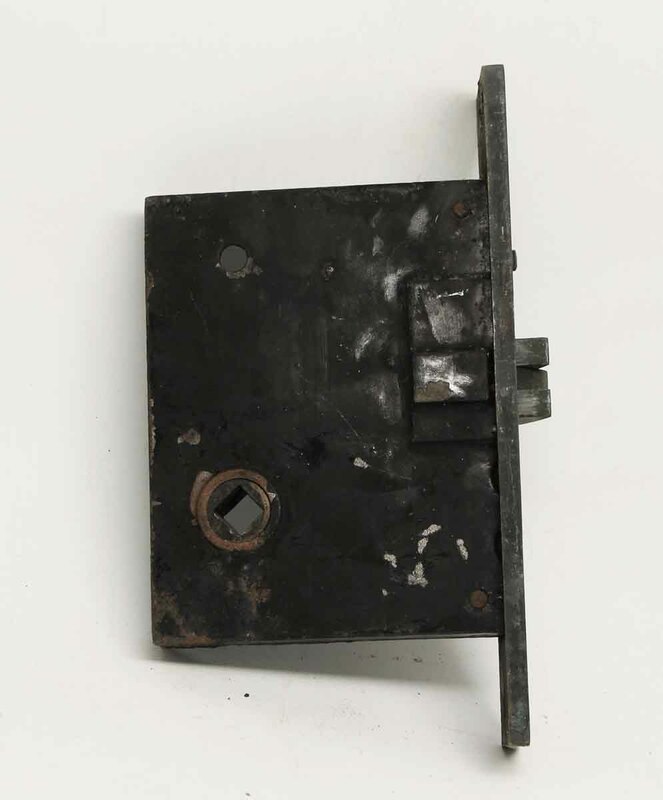 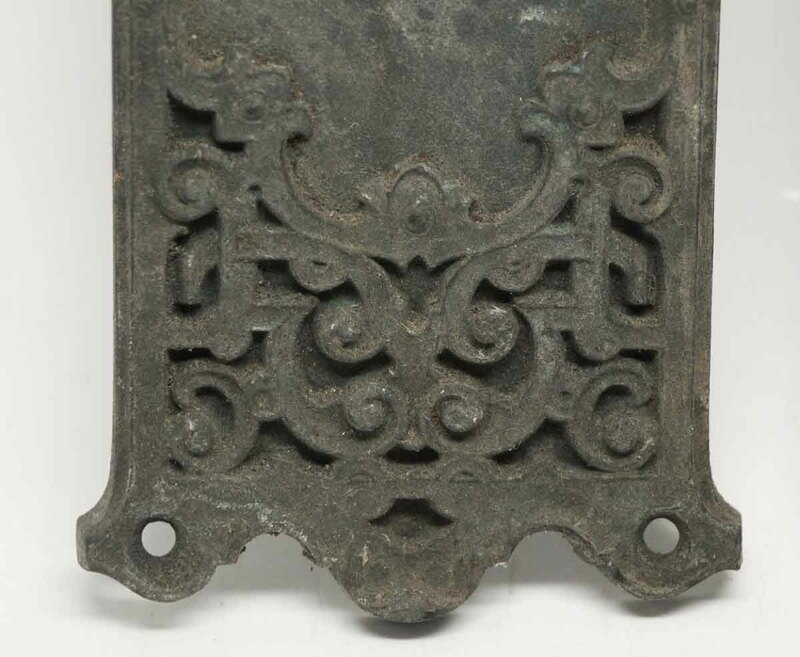 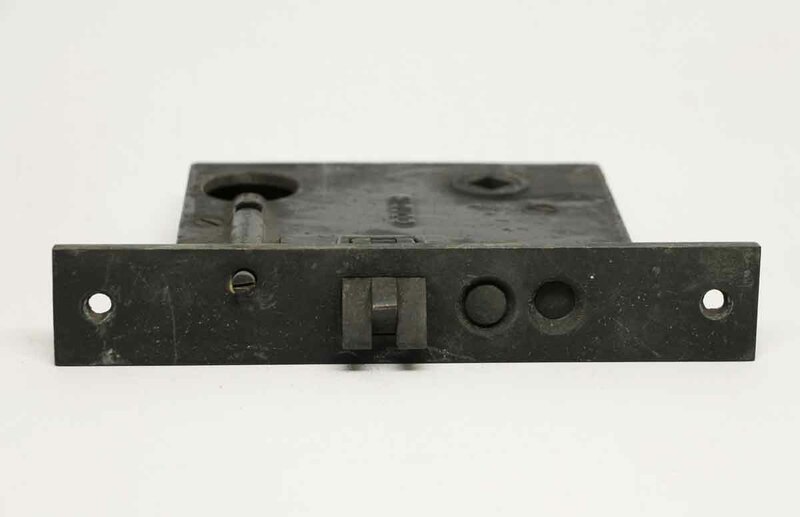 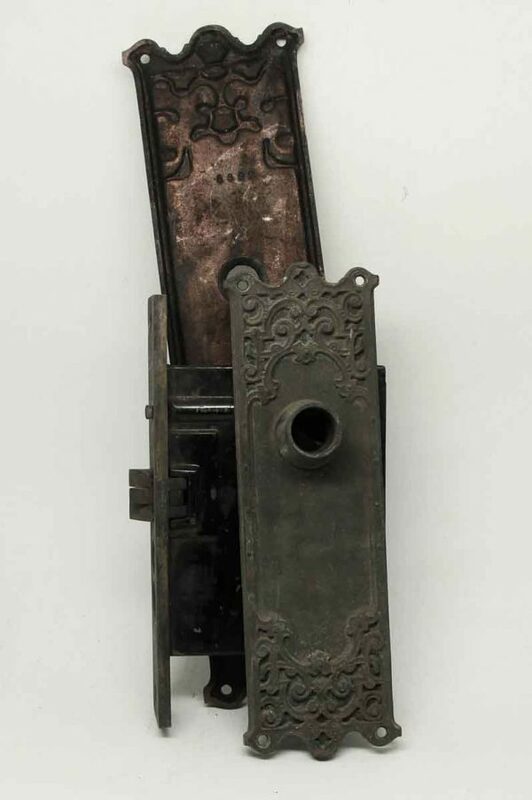 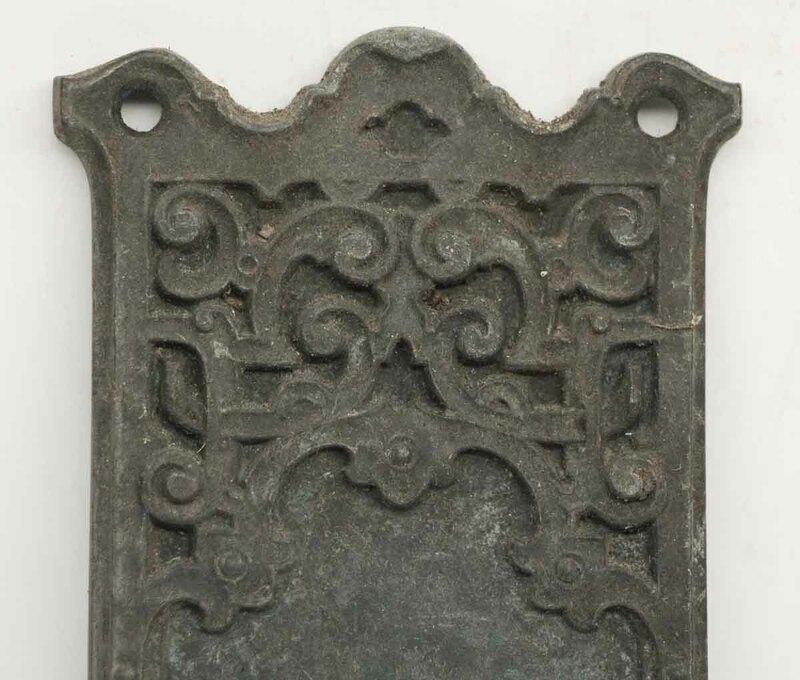 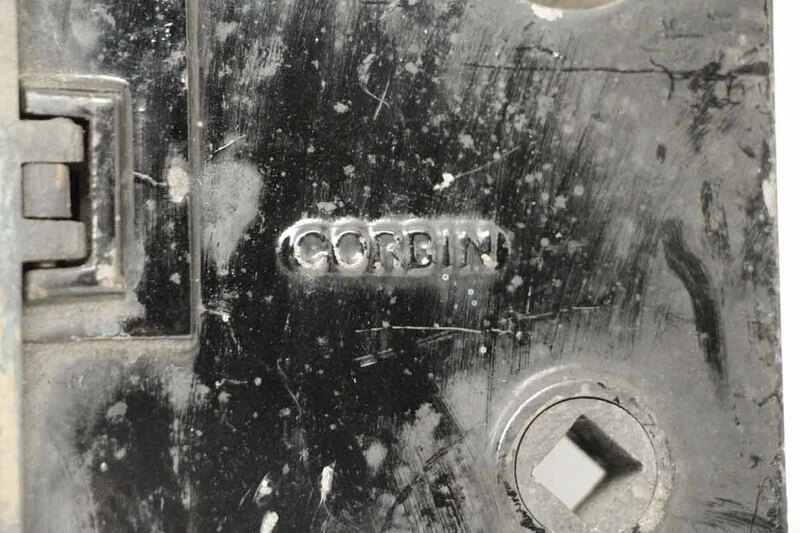 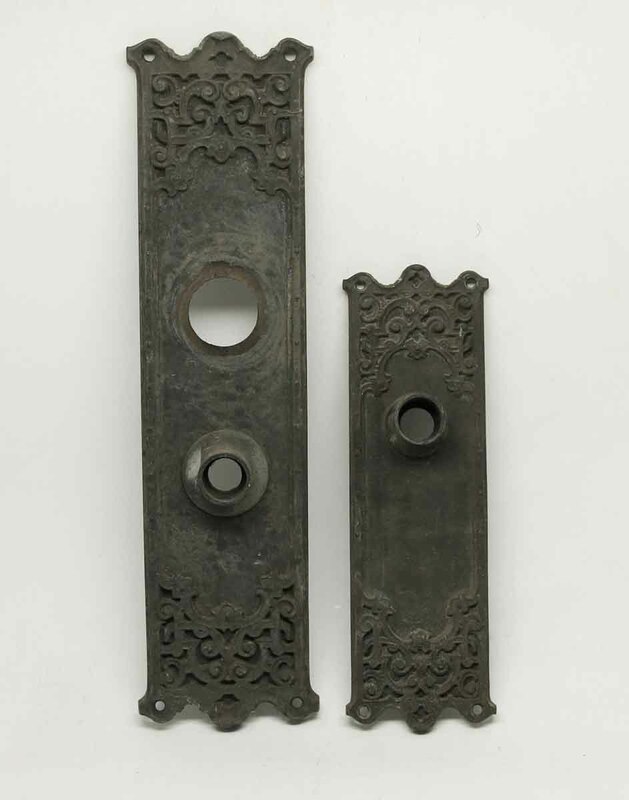 Priced as a set, which includes one pair of entry back plates and one Corbin mortise lock.